Putting these two paintings side-by-side is going to help us home in on the emotional insight in each one. 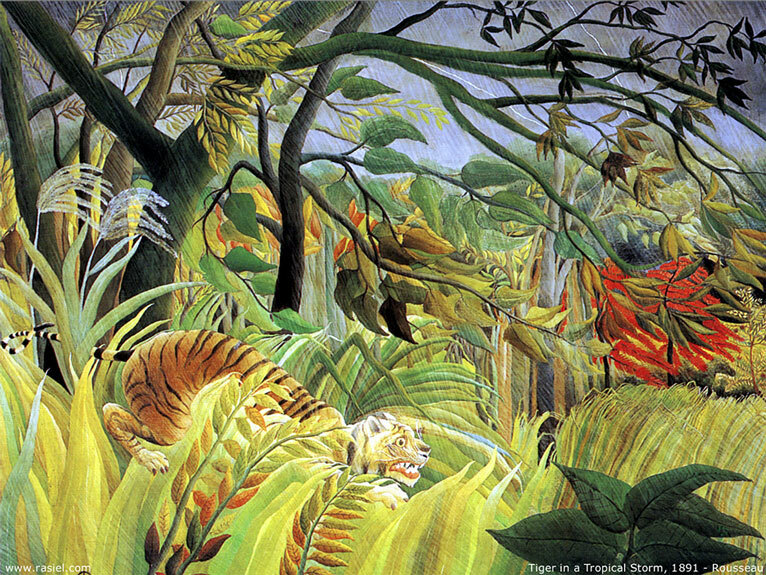 Look at “Tiger in a Tropical Storm.” See how vividly it depicts the tiger’s fear, and how everything is frighteningly in motion. Now take a look at “The Snake Charmer.” By contrast it’s easy to notice how serene, harmonious, calm, and peaceful it is. 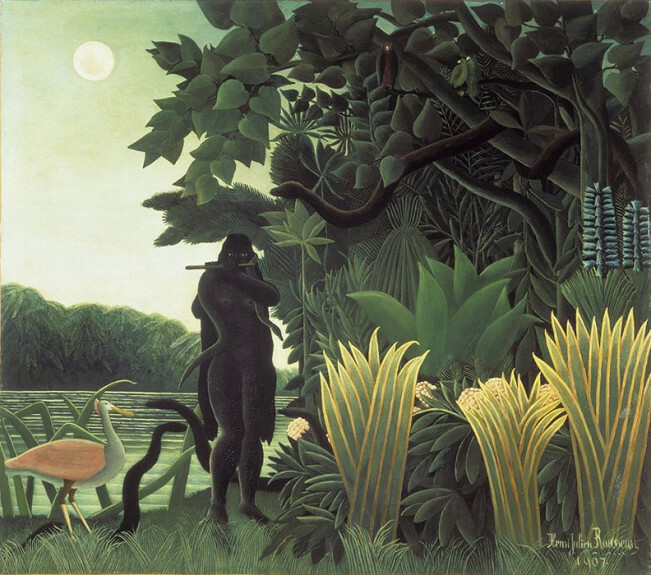 Rousseau is communicating something to us emotionally about serenity. Do you feel it?